Natives of Sweden are referred to as Swedes or Swedish people. The vast majority of Swedish people choose to live in the more densely populated cities rather than the rural areas of Sweden. 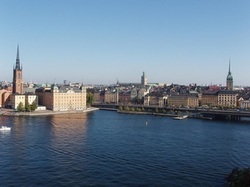 Stockholm has the largest number of citizens with over 1,200,000 inhabitants. Gothenburg, Malmo and Uppsala have over 510,000, 258,000 and 128,000 respectively. Generally Swedes are noted as being more private with their emotions and outward shows of affection in comparison to citizens of other European countries. The Swedish enjoy the simple subtleties of humor, which may lead foreigners to misinterpret their humor style. Sami people are the only indigenous natives within Europe and are found within the far north on the Scandinavian Peninsula. Twenty thousand of the existing 75,000 Sami people are living in Sweden. The Kingdom of Sweden is situated in northern Europe with bordering countries of Norway and Finland. It is connected by a bridge to mainland Denmark. 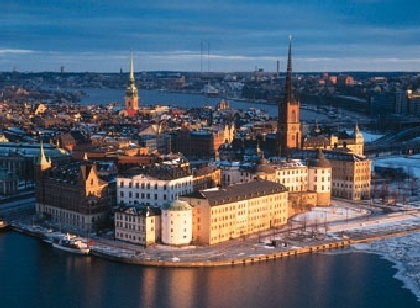 Sweden is noted as the fifth largest country in Europe; however, it maintains a low population density with just over 9.2 million inhabitants. 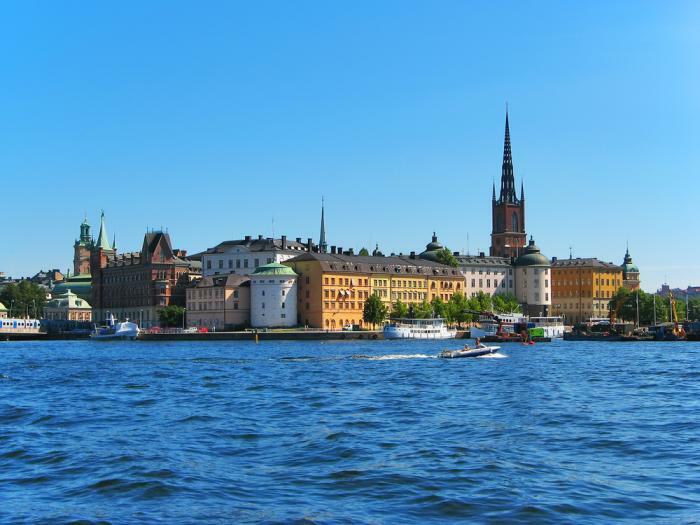 Stockholm is the capital of Sweden and is home to over 1.3 million Swedish residents. Swedish is the official national language, although many residents have a good capacity to understand and speak English as well. The currency traded within Sweden is the Euro. Sweden is situated within the Scandinavia Peninsula in Northern Europe. The shores of Sweden are met by four seas: the Baltic Sea and the Gulf of Bothnia, Kattegat and Skatgerrak. Due to the country's positioning, the temperatures can vary greatly with summers in the south being cool and partly cloudy and winters being cold and cloudy. The north of the country experiences more subarctic temperatures. Swedish landscape is rugged and contains a vast amount of breathtaking scenery from the crystal waters of the large lakes to the lavish green grasses that cover the grounds and mountains like a luxurious carpet. Whether you are looking for an exquisite city getaway or wish to explore some of the world's most breathtaking landscapes, Sweden has something to offer everyone. If you're seeking a super chic city to explore, Stockholm could be the perfect choice. 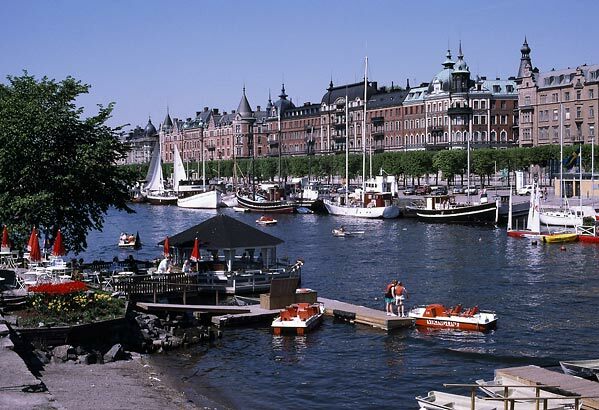 Famous for being one of the world's most beautiful cities probably due to the fact that it is spread across 14 islands all interlinked by charming bridges, Stockholm is a haven for the world's top fashionistas. 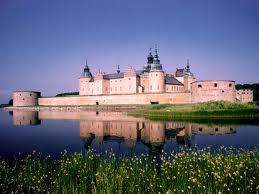 Taking a trip to one of the many castles or manor homes scattered throughout Sweden is a must. Most of the main towns have wonderful parks and gardens to explore such as the "castle wood" in Gothenburg. If you are travelling with children, be sure to check out one of the largest amusement parks in Scandinavia - Liseberg amusement park situated in Gothenburg. If you are in Sweden during the summer time, it is worthwhile taking a trip up north to view the midnight sun for an absolutely breathtaking experience. The history of Sweden stretches back over the last 12,000 years. Artifacts from the Stone, Bronze and Iron Ages have been discovered, enabling historians to shed light on how humanity evolved within the shores of Sweden. The first elements of Christianity are evident within Sweden from the Viking Age; however, it is not until the 11th century that Sweden was officially Christianized. The founding of the Kingdom of Sweden resulted in 100 separate entities being encapsulated into one mainland. The new Kingdom of Sweden caused conflicts between two of Sweden's most prestigious families at the time, the Sverker and Erik families. During the period of the middle of the twelfth century, the crown was passed back and forth between these two families in their search for power. Towards the latter part of the thirteenth century, the crown gained the power it required to impose various laws upon the government that were validated for the country as a whole. The Hansa period saw the increase in trade for Sweden, which lasted for 200 years until 1350 when the Black Death reached the shores of Sweden and destroyed most of their agricultural growth. The Kalmar Union was formed in 1397, uniting the Danish, Norwegian and Swedish crowns. This union resulted in the three countries being governed by one individual monarch, which lasted until 1521. After a tough rebellion, King Gustav Vasa was elected King of Sweden. The Vasa period lasted until 1654 and saw some of the most crucial foundations for Swedish law developed. Many houses were to be formed throughout the history of Sweden, and today the present king of Sweden is HM King Carl XVI Gustaf. Sweden has a vibrant and varied nightlife. From cozy cafes and bars to loud and luxurious nightclubs and discos, there is something to suit all ages and tastes. If you're interested in dining out as part of your nightlife activities, Sweden caters both local and international cuisine. In many of the larger cities and towns, theme nights and cultural events are organized to help tourists understand and grasp the cultural elements of Swedish life. This generally includes local cuisine, music and traditional dancing, a guaranteed fun-filled family night. Swedish culture has led the Swedes to remain very humble in their nature. Competition is not encourage within the country, and children are raised to view themselves as equal to others - no better, no worse. The family structure is deeply valued within Sweden, which is even evident within their family laws giving both parents equal rights to maternity leave. Public establishments such as restaurants and bars are very family friendly. Sweden values respect shown towards elder members of the community. Also, Swedish dress style is very fashionable, but not over indulgent. As with many other Scandinavian countries, Swedish cuisine is relatively simple. Their food philosophy is that food should be practical and filling. Northern regions of Sweden still base a lot of their cuisine on that of the Sami people, with food such as reindeer and game plates playing a large role in dishes. French and Italian cuisine have had a strong influence on dishes further south. Pizza is a commonly adored dish throughout the country as is kebab. Typical Swedish cuisine consists of foods such as vegetables, pork, beef and fish, various types of bread, fruit and nuts. Potato and cabbage feature strongly within dishes as do many dairy products. Many Swedish enjoy drinking fruit soup either warm or cold depending on the season. Swedes also enjoy eating desserts and are known to indulge in numerous coffee breaks accompanied by sweet pastries.